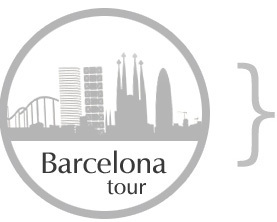 Along the tour we will see and learn about the Roman Barcelona, the small streets of the Gothic quarter, the old harbour, the Columbus statue, the royal shipyards, the Ramblas, the Barceloneta, the born quarter, the beach, the Olympic harbour, the Olympic village and the Parc of the Citadel. We will be amazed by the imposing Roman walls, smell freshly made candy, hear some gruesome stories, learn about the history and life of the city, enjoy the Mediterranean sea, admire the Frank Gehry statue…. Our tours are limited in size so you can count on a great, personal service and a memorable experience. We meet at Carrer del Correu Vell, 6 - next to metro Station Jaume 1ST. Each glide starts with a 30 minute training session in a small plaza next to our premises. This training with the Segway® PT is necessary so that everyone feels comfortable and ready to go out and enjoy the city. The Segway® PT is designed to be operated by a wide range of people after receiving orientation-no special skills are required. · It is necessary to be able to step on and off the Segway® PT without assistance, which requires physical abilities similar to climbing and descending stairs without assistance or use of a handrail. · Rider must be able to operate the steering control with his or her hands. The Segway® PT have lots to offer to corporate groups. Give your colleagues an opportunity to get out of a conference room chair and glide into the city on a Segway® PT! Make Segway® PT a centrepiece of your next party or company outing in Barcelona.